LoRaWAN is an open and scalable global LPWA network standard with freely accessible specifications, built upon the LoRa wireless modulation technology. The LoRa protocol is a component in the physical layer of the OSI model and LoRaWAN is a data-link layer (medium access control) standard. The CSS radio modulation technology for LoRa(WAN) was developed by French company Cycleo. Semiconductor manufacturer Semtech saw the possibilities of LPWAN early on, acquired Cycleo in and built the foundation of LoRa upon it. Semtech owns the LoRa Intellectual Property, develops LoRa technologies and hardware and licenses the intellectual property to companies such as Microchip and ST Microelectronics. This way there isn’t a single source in the entire LoRa and LoRaWAN ecosystem and value chain as I explain in my IoT book Digitize or Die. Semtech co-founded the LoRa Alliance which gathers over 500 companies working with LoRaWAN and drives the success of the protocol to become the number one open global standard for secure, carrier-grade IoT LPWAN connectivity. The LoRa Alliance provides a standardized framework and a certification program to guarantee interoperability, which is essential in the scope of IoT connectivity and data. The members of the LoRa Alliance include major operators, cable companies, developers, solution providers, cloud players and hardware companies. 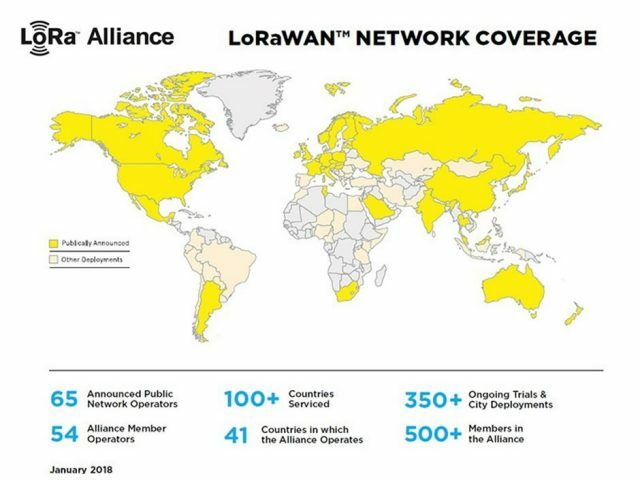 The LoRa Alliance covers over 50 nationwide deployments across 150 countries and has over 100 LoRaWAN certified solutions for various IoT applications and use cases. 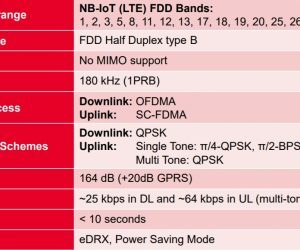 These use cases overlap with those mentioned in my post on LPWAN and my post on Sigfox, a competitor of the LoRa(WAN) ecosystem in the unlicensed band LPWA space. Just like Sigfox and other non-cellular LPWAN ecosystems, LoRaWAN leverages the Ultra Narrow Band (UNB)-sub GHz ISM band. The cell capacity is around 40,000 objects/cell and has a throughput of between 300 bps to 50 000 bps. In rural areas, the cell’s range is around 15 km and in urban areas, between 2 to 5 km. The stand by time for a 2.5Ah battery is about 20 years. Security is embedded with a unique 128-bit Network Session Key shared between the end-device and network server and a unique 128-bit Application Session Key shared end-to-end at the application level. Other features include full bidirectional support, firmware or application updates over the air and geolocation without GPS. LoRaWAN is positioned as complementary to cellular LPWAN which is why many operators offer both LoRaWAN and cellular technology LTE-M.
To understand this and the differences between LoRa(WAN) and cellular LPWAN below are some takeaways from an interview I conducted for my book with Ir. Jaap Groot, VP of Business Development at Semtech and Board Member of the LoRa Alliance. Compared to cellular LPWA technologies LoRa is 5 to 10 times more power efficient in transmit and sleep. Its peak power, which is important for battery dimensioning and cost, is about 5 times lower than that of its cellular companions. The adaptive data rate, a mechanism to optimize data rates, airtime and energy consumption in the network, controls the transmission speed (Kb/sec) and makes the networks infinitely scalable as the objects connect only to those gateways they need to (the higher the bitrate the lower the distance). A derived benefit is that LoRa can be deployed in very small gateways such as USB keys, set top boxes, routers and Wifi hotspots. Due to the adaptive data rate there is no limitation regarding capacity: when capacity is needed operators deploy new gateways, indoor, outdoor or even as USB keys in routers. The main difference between cellular LPWAN and LoRa is that there is no need for licensed spectrum whereby the subscription can be lower than cellular IoT and basically anyone can deploy a network. One of the strengths of LoRAWAN is the open LoRa Alliance ecosystem approach with a focus on improving the underlying technologies on the level of extending battery life, interoperability, geolocation, roaming and advancing the LoRaWAN protocol. The Alliance is also key in adding new important partners whereby more countries and regions get connected. 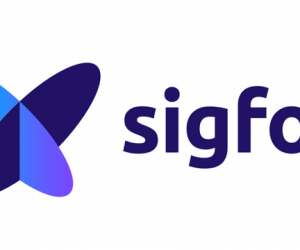 Sigfox also innovates and has its ecosystem, yet the approach is entirely different and there are important differences between both Sigfox and LoRaWAN. As always, the use cases and business needs are key in selecting the best option. Quite importantly, innovative partners with multiple business models, some even crowdsourced, are making LoRaWAN available across the globe, often even in several countries at the same time since LoRaWAN is so open. These various innovators conclude partnerships to keep LoRaWAN growing. In the UK, for instance, The Things Network and Digital Catapult’s Things Connected joined forces in June with a focus on extended coverage, companies getting started with IoT and innovative initiatives and use cases in practice. Such initiatives make the charts on LoRaWAN coverage as the one shown in this post from the LoRa Alliance quickly outdated.